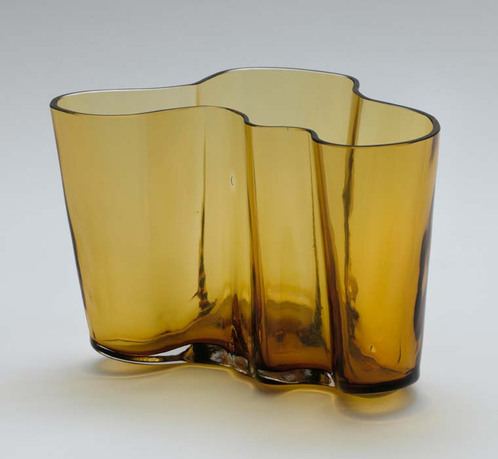 Alvar Aalto, Savoy Vase, mold‐blown glass, manufactured by Karhula‐Iittala Glassworks, 1936‐37, The Museum of Modern Art, Gift of Artek‐Pascoe, Inc., 712.1943. Photo: © The Museum of Modern Art/Licensed by SCALA / Art Resource, NY. 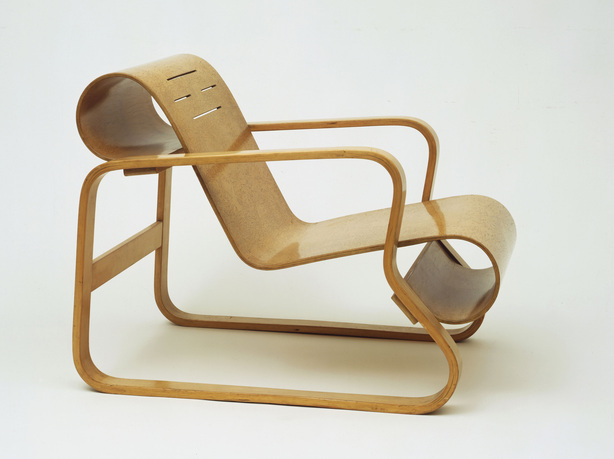 One of the most important design companies and the only one founded by a leading architect of the modern movement, Artek is best known as the producer and distributor of bentwood furniture designed by Alvar Aalto. Its mission, however, is more complex and multifaceted, grounded in the notion that art and design can enhance everyday life, from an individual stool to an entire architectural space. This examination by a group of international experts fills a gap in design scholarship by documenting Artek's history and legacy and providing a critical interpretation of its major projects. 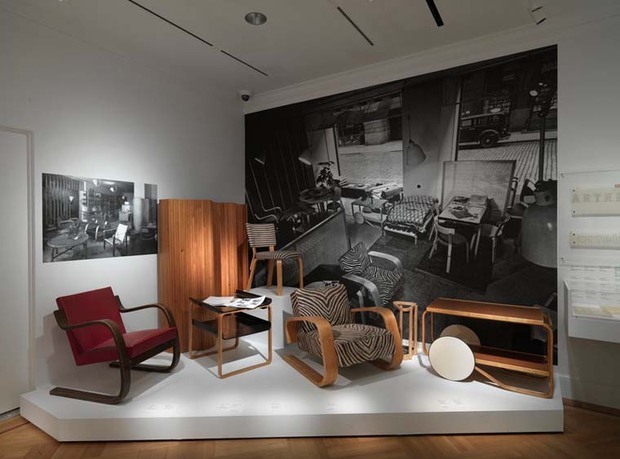 By focusing on domestic and public interiors, the project provides new interpretations of a dimension of Aalto's contribution to architecture and design that has been largely ignored. Published by Yale University Press in collaboration with the Bard Graduate Center (BGC), the book—which accompanies an exhibition organized by the BGC—is the first comprehensive English-language publication on Artek. Nina Stritzler-Levine holds an MA in art history from the Graduate Center of the City University of New York where she is currently a doctoral candidate and an MA in the history of decorative arts from the Cooper-Hewitt National Design Museum/Parsons School of Design. A founding member of the Bard Graduate Center Gallery staff, where she previously retained the titles director of exhibitions and chief curator, she is now director of the gallery and gallery publications. Among the more than fifty exhibitions she has organized, Stritzler-Levine has curated several, most recently Sheila Hicks: Weaving as Metaphor, Josef Frank: An Alternative Vision of the Modern Home, Finnish Modern Design: Utopian Ideals and Everyday Realities, The Brilliance of Swedish Glass: An Alliance of Art and Industry, and Marimekko: Fabrics, Fashion, Architecture. An art historian and recognized scholar of modern and contemporary design, Stritzler-Levine has published and lectured widely in the field, focusing on Finland and Sweden. She is also an active scholar of the history and theory of museums. Harry Charrington is director of studies for the MArch, Department of Architecture and Civil Engineering, University of Bath, where he teaches design studio and lectures in history, theory, and urban design. He studied architecture at Cambridge, where he founded Scroope Cambridge Architecture Journal, and later moved to Finland, where he specialized in the design of timber buildings. He completed his doctorate on the Alvar Aalto studio at the London School of Economics and has written articles and books on the practice of the Aalto atelier, most recently The Oral History of Alvar Aalto: The Mark of the Hand (Rakennustieto Publishing, 2011). Pekka Korvenmaa, PhD in art history, is vice dean and a professor of design and culture at the Aalto University School of Art and Design. He has led several research projects and teams and supervised doctoral studies in Finland and abroad in addition to organizing numerous international conferences. He has published extensively on Finnish architectural and design history and on the politics of design. In 2010 he was panel chair in evaluating Danish design research for the Ministry of Culture of Denmark, and he currently serves as chairman of the Finnish Designmuseum. His most recent book is Finnish Design: A Concise History (University of Art and Design Helsinki, 2009). Peter MacKeith is associate dean of Sam Fox School of Design and Visual Arts, Washington University, St. Louis. From 1994 to 1999 he directed the international MArch program at Helsinki University of Technology, and he previously taught design and architectural theory at Yale and the University of Virginia. MacKeith has worked in practices in the United States and Finland and has written and lectured extensively on the work of Alvar Aalto and on contemporary Finnish and Nordic architecture. 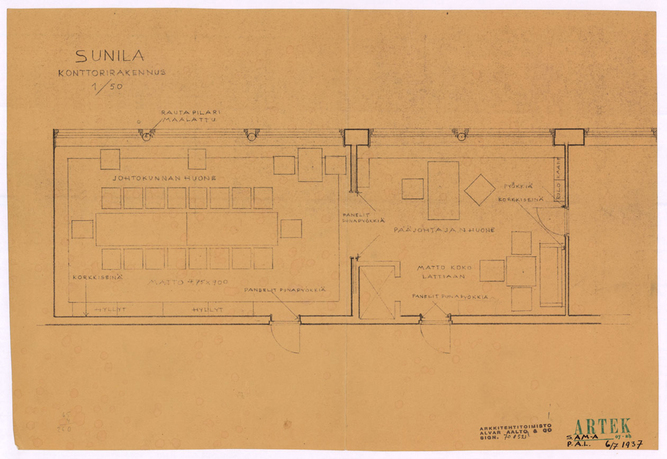 His analytical drawings of Aalto's buildings were included in the 1998 Aalto retrospective at the Museum of Modern Art, New York. He has received a Fulbright Fellowship and research grants from the Graham Foundation. Juhani Pallasmaa has practiced architectural design first in collaboration with other architects, and in 1983–2012 through his own office in Helsinki. In addition to his design practice, he has held positions, such as rector of the Institute of Industrial Design, director of the Museum of Finnish Architecture, and professor and dean of the School of Architecture, Helsinki University of Technology. He has had several visiting professorships in the US since 1994, at Yale University, Washingon University in St. Louis, University of Virginia, University of Illinois at Champaign-Urbana, and the Catholic University of America at Washington DC. He has also taught and lectured in numerous other universities in the US, Europe, North and South America, Africa, Asia, and Australia. Susanna Pettersson is director of the Finnish Institute in London. She has been director of the Alvar Aalto Foundation/Museum in Finland (2010–13), and from 1992 to ,2010 she directed national research and development projects at the Finnish National Gallery. 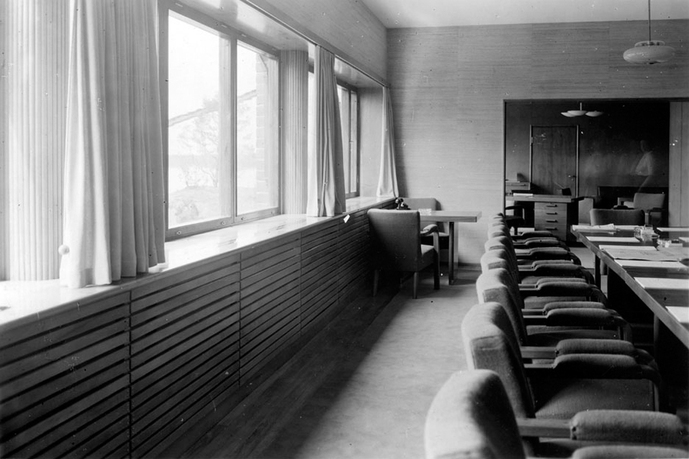 Pettersson's research interests cover modern house museums, display strategies, and historiographical notions on Alvar Aalto. Her recent publications include The Finnish Museum History, and Collections Mobility: A Way Forward for Museums in Europe (2013). She lectures at the Reinwardt Academy, Amsterdam, and the University of Jyvaskya, Finland, where she earned a PhD in museology. Constance Rubini is director of the Musée des Arts Décoratifs, Bordeaux. An art and design historian, she previously directed cultural programs at the Musée des Arts Décoratifs, Paris. She has curated several major exhibitions, including the 2010 International Design Biennial in Saint-Etienne and Dessiner le design in 2009. From 2004 to 2010 she was editor-in-chief of the design and research journal Azimuts. She has been professor of the humanities at L'École Nationale des Arts Décoratifs, Paris, and a lecturer at L’École Supérieure d'Art et Design, Saint-Etienne. 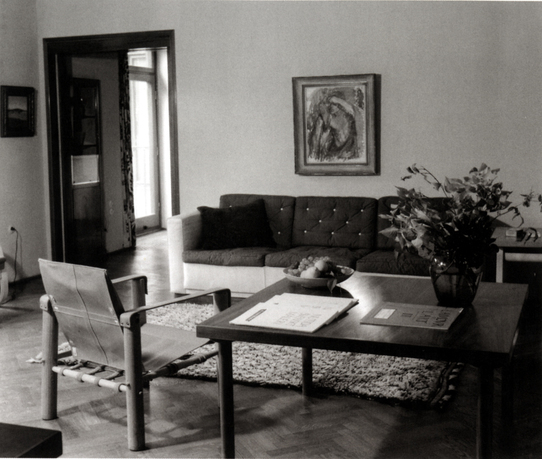 Rubini's dissertation, "The Spread of Contemporary Furniture from 1930–1980," was completed at L’École des Hautes Études en Sciences Sociales, Paris. Arthur Ruegg is professor emeritus of architecture and technology, Eidgenössische Technische Hochschule, Zürich, where he taught from 1991 to 2007. After studying under Bernhard Hoesli and Alfred Roth, he has practiced architecture in Zürich since 1971. He writes extensively on Swiss architecture and on construction, color, and design in the modern movement. His books include Swiss Furniture and Design in the 20th Century (Birkhäuser, 2002), 75 Jahre Wohnbedarf (Wohnbedarf AG, 2006), and a number of volumes on Le Corbusier. Among the exhibitions he has cocurated are Le Corbusier before Le Corbusier, Sophie Tauber-Arp: Designer Dancer Architect , Charlotte Perriand: Designerin, Fotografin, Aktivistin, and Construire l'image: Le Corbusier et la photographie. Renja Suominen-Kokkonen is senior lecturer in art history at the University of Helsinki, where she has held teaching appointments since 2005. Her published works include The Fringe of a Profession: Women as Architects in Finland from the 1890s to the 1950s (Muinaismuistoyhdistyksen aikakauskirja, 1992), The Shaping of Art History in Finland (Kirjoittajat, 2007), and Aino and Alvar Aalto: A Shared Journey (Ram Publications, 2008). Since its founding in 1993, the Bard Graduate Center has aimed to become a leading research center and exhibition space for the study of the cultural history of the material world. Through its graduate school, gallery, publications, public programs, and research institute, the BGC is dedicated to advancing the study and appreciation of the decorative arts, design history, and material culture by exploring the relationships between works of art, design, and social and cultural practice.